Frito-Lay, the snacks division of global food and drinks giant PepsiCo, is set to expand a production facility in the city of Frankfort, IN, USA, according to a report in Inside Indiana Business. The firm is said to be investing $159 million in the upgrade to its Clinton County operations, which will see two new production lines and extra warehousing capacity added and the creation of 50 new jobs. Frito-Lay currently employs around 1,100 staff in Frankfort at two different production sites. Altogether the company operates 17 snack production lines within a 135 acre footprint in the city. 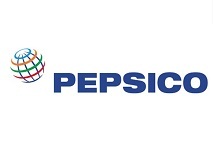 The new investment is set to increase the size of Frito-Lay’s operations by 210,000 sq ft.
News of the investment comes as PepsiCo also announces a major boost to its operating capacity in China, with the company spending $100 million to upgrade a facility in Shanghai.